It’s a brisk day in March 2011, and I’m in Harrison. And I am terrified. 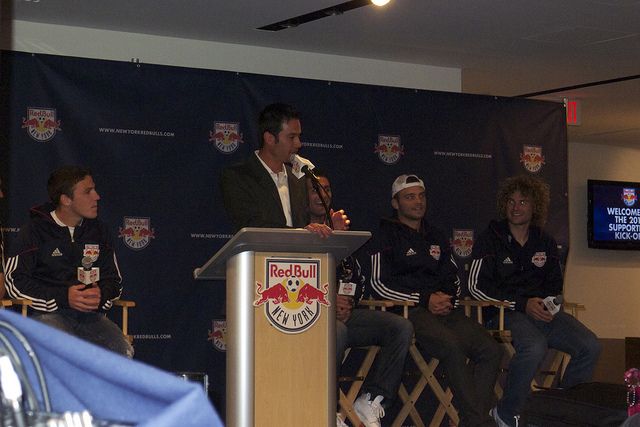 It was my first ever team event for the Red Bulls – and not merely a team event, but Media Day. 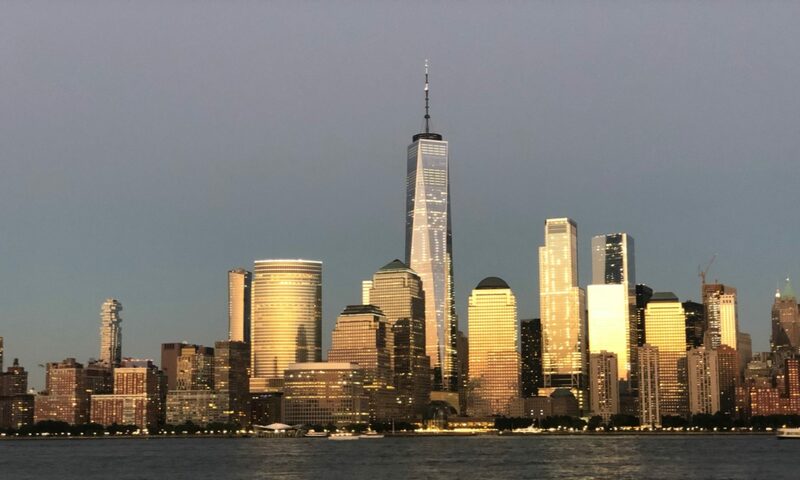 I didn’t know what Media Day was when I accepted the invite from my friends at Gothamist, but I had figured it out early that morning and it sent me into colon lock. I thought it was a press conference; instead, it was a free for all where you walk up to whoever and ask whatever. There’s Thierry Henry, world football legend. There’s Rafa Marquez, who at the time wasn’t a complete villain. There’s Juan Agudelo, just back from scoring with the national team. Here’s me, barely six months into following the team, trying to look like a sports journalist. I was a disaster. I head toward the coaches – and after weighing my options, I went to Mike Petke. Petke, the local boy. Petke, who had just retired from the club he loved. Petke, who had been given the (seemingly honorary) title of “Individual Development Coach” in the front office like so many retired MLS players do. I threw him a softball question – the only kind I had, having never interviewed anyone before – about the Parks Department donation announcement. (I thought this was the main focus of the event; it certainly wasn’t.) As I flubbed my way through my first ever team interview, Mike didn’t look at me funny, didn’t put me down – just answered the questions kindly. It’s a warm wet day in June 2011, and I’m in Portland. 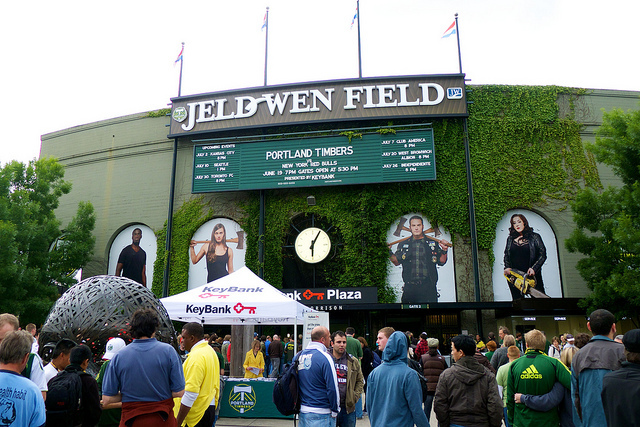 It’s the weekend of the first RBNY-Portland match. I’ve written about this trip before, but there’s one story I left off. At one point, feeling rather emboldened by being in the team hotel as a fan (I hasn’t yet fully crossed to media), I figure – maybe I can take advantage of this a little bit more than just random collisions. I try to think of who on the team is on Twitter – and there aren’t many at that point. But there was, of course, Mike, now an Assistant Coach with the team. So I tweet at Petke, offering to buy him a drink in the hotel bar. But I never hear back, and it didn’t really cross my mind again. We did see him after the game, and he gave Katie a big hug and me a handshake. Petke joked this year that he didn’t know how to get his phone to stop beeping when he got mentioned on Twitter. Social media isn’t his thing. It’s a rainy evening in March 2013, and I’m in Portland. It’s the weekend of First Kick, and New York is again away at Portland. 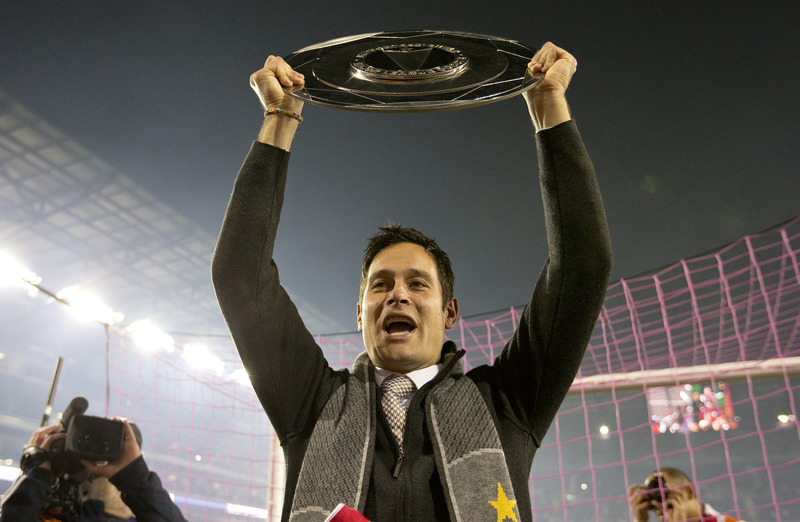 Not two months earlier, Petke was named head coach – a surprise, given that the typical set of also-ran European names had been thrown around. And on the eve of his first match running the franchise, I am again in the team hotel, waiting for Mike with Matt Doyle and Jeff Carlisle. He’s running a little late. Finally, he steps out of the elevator – and as he’s getting introduced to us, he gives me what seems like a smile of recognition. It throws me a little. “Why would he remember me?” I wonder. This time, the questions come a little more naturally to me, having been doing these sorts of interviews for a year and having a much better knowledge of the team. I ask about continued crazy matches between RBNY and Portland. I try to catch him with a question about Tyler Ruthven, who had seemingly won back his contract after being terminated at the end of 2012, but then was suddenly on the outside looking in. Mike just smiled. He nearly always smiles when taking media questions, whether he likes the question or he doesn’t. He handled them well enough (especially the Ruthven question), but I could tell he was a little nervous going into his first match. A little wound up. Of course, of course, Katie would find him before I would. It’s a lukewarm morning in October 2013, and I’m in Harrison. It’s this past Saturday, the final weekend of the regular season. The Red Bulls have one game left on Sunday against Chicago – win, and they bring home their first championship in their 18 year history. Lose or draw, and unless other results went their way, it would be the same old story for the club. It’s the final regular season practice, at Red Bull Arena, and I’m the only member of the media in attendance. (Full media availability was the day before, so there’s less appeal for media attendance.) But I’m not there primarily for interviews – I’m mostly there to get a sense for how the team felt rolling into their last game of the season, the one that might deliver them a trophy. They were relaxed. They were joking and having fun. They were working, but it was a different air than I had ever seen the team in. I don’t push further. He’s said more than enough. It’s a cool evening in October 2013, and I’m in Harrison. If you read my coverage, you know how this ends. The Red Bulls give up a goal to a former player, sending a wave of familiar dread through the stadium. Then Thierry Henry scores a golazo. Ibrahim Sekagya scores a goal-line scramble. Lloyd Sam scores a beauty. Eric Alexander goes one-on-one and wins.. Jonny Steele scores with ease. Five unanswered goals from five different players. The margin is so big, Chicago scores a consolation goal and the crowd barely notices. The final whistle blows. The stadium doesn’t so much roar as it lets out an excited sigh of relief, that the team has finally ripped off the label of Never Won Anything. 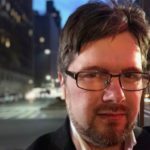 A few seats down from me, Dan Ryazansky – who runs Metrofanatic.com, which has meticulously chronicled 18 years of club futility – is beside himself, half in tears, half smiling. The Supporters Shield, snuck into Red Bull Arena secretly by a group of supporters just in case, appears near the South Ward, and it is hoisted again and again. Petke dedicates the win to the crowd, apologizes to his wife, and promises his kids the best off-season ever if they can give him just five more games – he’s already focused on the playoffs. This moment obviously wasn’t mine alone. I shared it with everyone else in the stadium that night. But it was certainly the moment, so far. I’m not a “96er”, like Mark or Miguel. 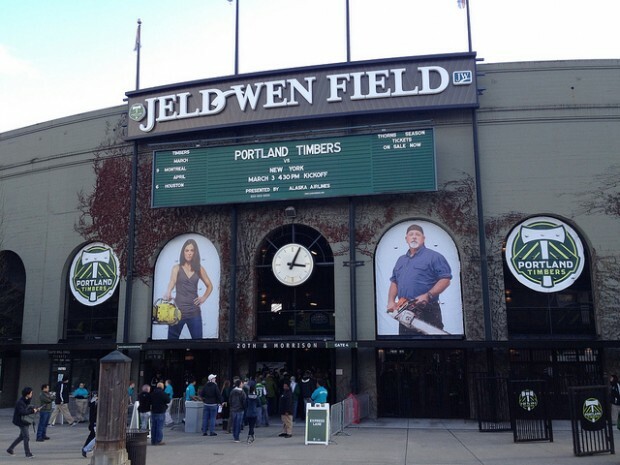 I was there in 1996, missing the Curse of Caricola by a single game, but then I wouldn’t return for 14 years. I spent a year and a half as a fan, and then the last two years as a member of the media that was (perhaps not so secretly) hoping this team would finally win. And now they have, under Mike’s wound-up heart-on-his-sleeve leadership. When I considered my trajectory with the team – from casual fan, to season ticket holder, to media noob, to occasionally being the only beat reporter at practice – I realized this week that Mike has pretty much been there for each and every step I took. More than any player, he’s the one that’s most represents the connection I have to the club. And that’s even after I missed most of his playing days. It’s great to see the Red Bulls finally put something in the trophy case. But to have Mike be the one that lead them to it means so much more: to the club, to the players, to the supporters, and yes, to me. So congrats, Mike. To be honest with you? You’ve earned this.